Ali Baba Mediterranean Grill is a local family owned restaurant that serves best Mediterranean and Persian food in Tulsa, Oklahoma. They have many of the standard Mediterranean dishes such as Tabouli, Hummus, Gyros, and Falafel as well as salads, spuds, wraps and sandwiches. You can also find a variety of Persian dishes such as kabobs, Lamb shank, Zereshk rice, and Khoresht Ghaimeh at Ali Baba. All the platters are relatively large and can be shared among two people. 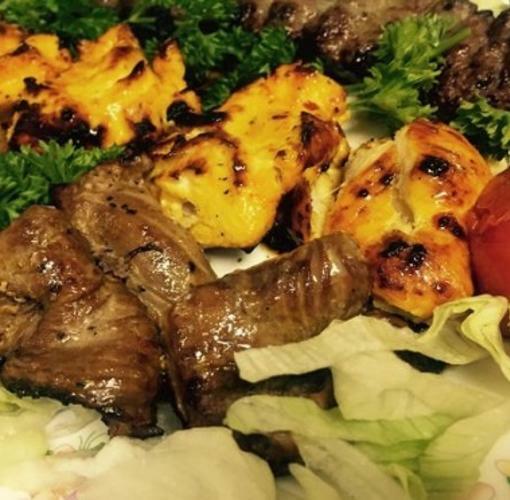 Ali Baba Mediterranean Grill serves halal meat.